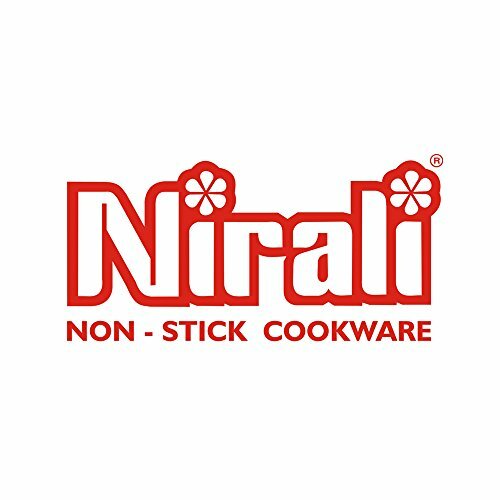 Nirali Splendour range 11 inch hard anodised concave tawa with induction bottom & rubber coated wire handle. 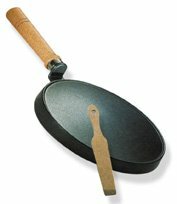 ~ Crepe Pans ~ Rika Jones - buy kitchen cookware with confidence! 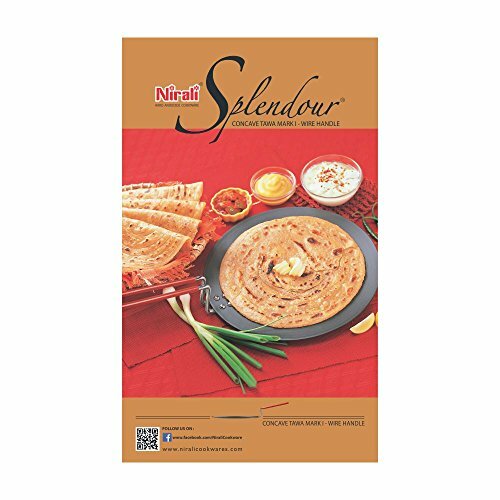 Nirali Splendour range 11 inch hard anodised concave tawa with induction bottom & rubber coated wire handle. 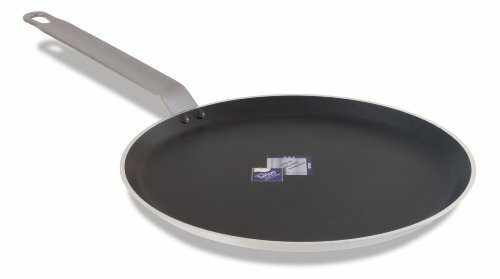 This 11 inch hard anodised tawa has many unique features. We use a special process for hard anodising which makes it non-toxic, non-staining, non-reactive with food. 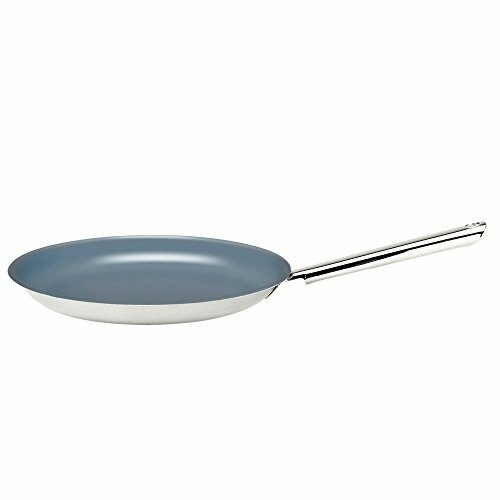 It is made from thick aluminium which increases durability of the product. 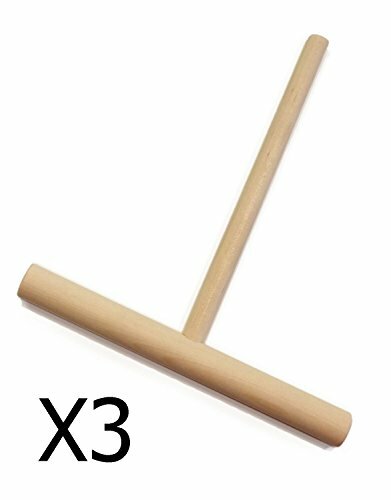 The concave shape helps in making paratha or any flatbread. 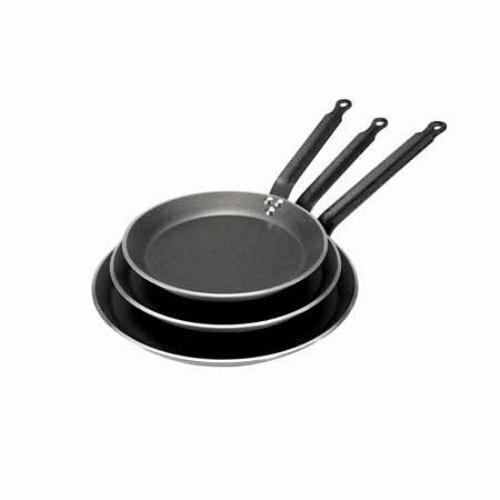 Remember to add oil / ghee / butter before cooking on this tawa. 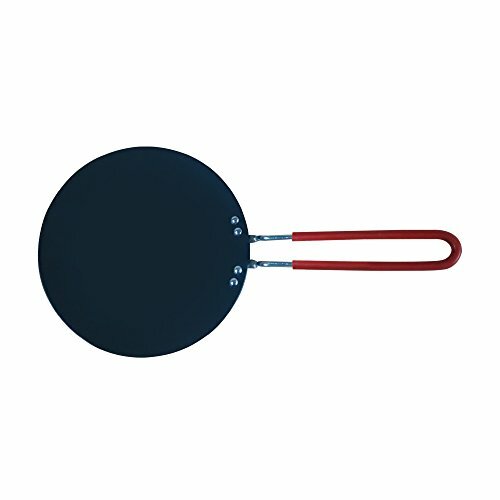 Fitted with wire handle which is coated with silicone to avoid heat transfer. 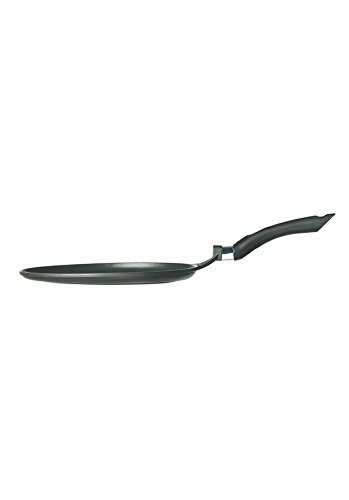 This tawa can be used with metal utensils. It has an induction bottom. 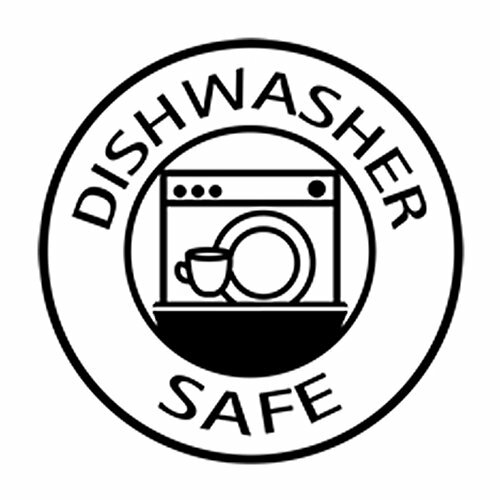 After use, allow it to cool before cleaning or putting it in dishwasher. This product is delivered in a well designed box.